Want personalised Uninterruptible Power Supplies recommendations, direct from manufacturers? You can see a full list of manufacturers of Uninterruptible Power Supplies here. 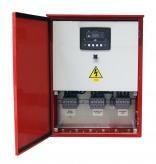 Other popular types of Electricity Supply include; Cable Supports & Enclosures, Cables and Electrical Accessories.